The Golden Anniversary of Saint Anthony Church was celebrated last Friday, 13 June 1924, on the Feast Day of Saint Anthony of Padua. A Golden Jubilee indicates a celebration of fifty years in some departments of life; in this case, it describes the history of this little Church in the Village of Groton. Its beginning was small, as at that time very few Catholics were in this vicinity. What few there were came from foreign shores with limited means, but brought with them their faith and wanted a place to worship God and spread the Faith that was in them. Early records indicate that the first Catholic settlers of the Groton area attended Mass at Saint Patrick Church in McLean, New York. Father James Touhy of Ithaca sometimes offered Mass in private homes (e.g. Matthew Walpole and John Carey) from 1860 until 1870. His successor, Father Gilbert (1870-1872) purchased an acre of land on South Main Street in the Village of Groton and this remained the site of the Church and rectory up until 1975. Under the direction of Father P. F. Lynch of Ithaca the construction of the stone church began in 1873 and was completed in 1874. Much of the labor was donated by the parishioners. Saint Anthony Parish became independent of Immaculate Conception Parish in Ithaca with the appointment of Father Charles Horan as its first resident pastor on August 1, 1875. Later in 1876, Father Patrick M. McManus, who was pastor of the combined Missions of Saint Anthony in Groton and Saint Patrick in McLean, had a rectory and barn built and purchased the cemetery for the Groton Parish. Saint Patrick Church in McClean, was later incorporated into Holy Cross Church in the Town of Dryden in 1962. 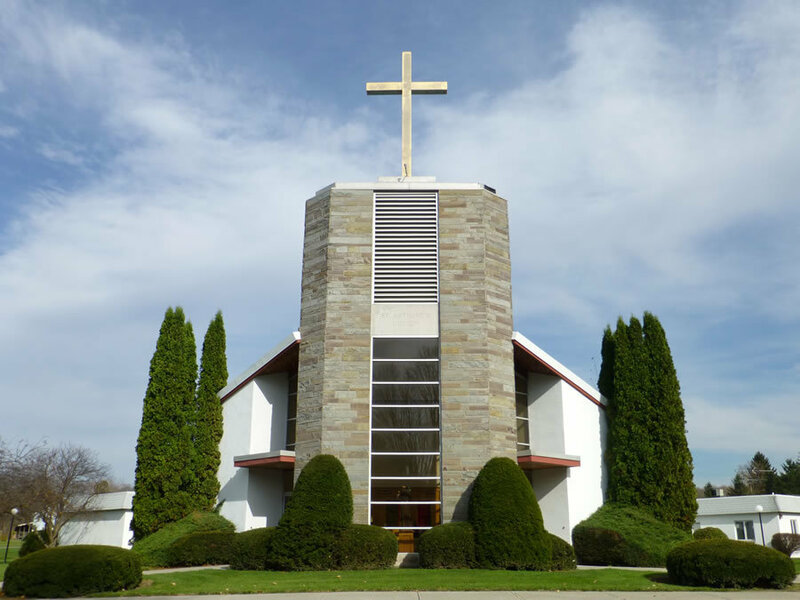 As for St. Anthony Church, a new complex (church, hall, and rectory) was constructed and dedicated on Sunday, 26 October 1975 just outside the village on Route 38. This is our present structure.